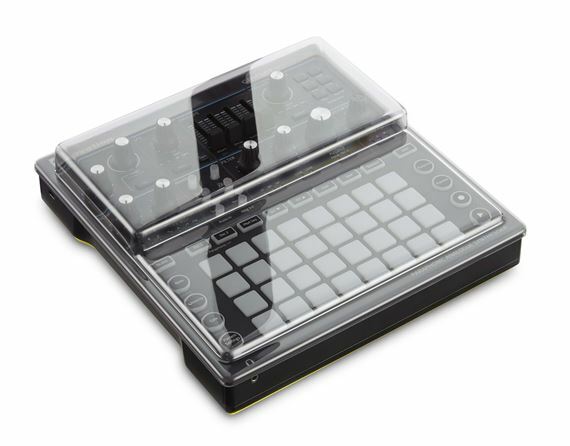 Order your Decksaver Cover for Novation Circuit Mono Station from AMS and enjoy Fast & Free Shipping. Get the Best Deal with our Lowest Price Guarantee & Great Customer Service! The Novation Circuit Mono cover shields delicate controls and internal components from damage in the studio, in transit and on stage. The tools we use to compose and produce music are dear to our hearts. The studio elements of dust, smoke and liquid have taken many a good unit down over the years. This is where Decksaver steps in. Precision trimmed for perfect fit whilst accommodating cables, your Novation Circuit Mono can sit ready for operation. Slides straight into a flight or soft case for maximum protection during transportation.